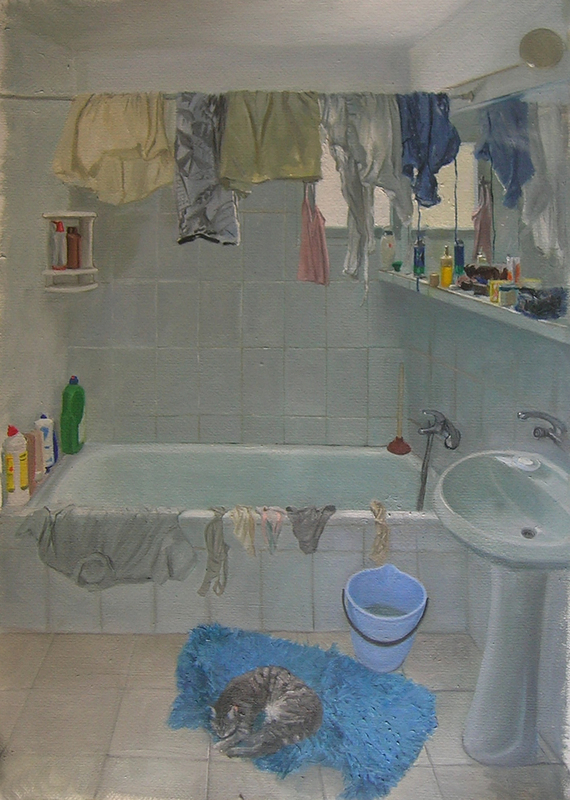 Though I am extremely busy at the moment getting ready for a six-week painting stint in Italy, I have spent a lot of time in the bathroom lately working on this painting. Not a bad place to be, given the recent wave of terrific humidity in Rehovot. 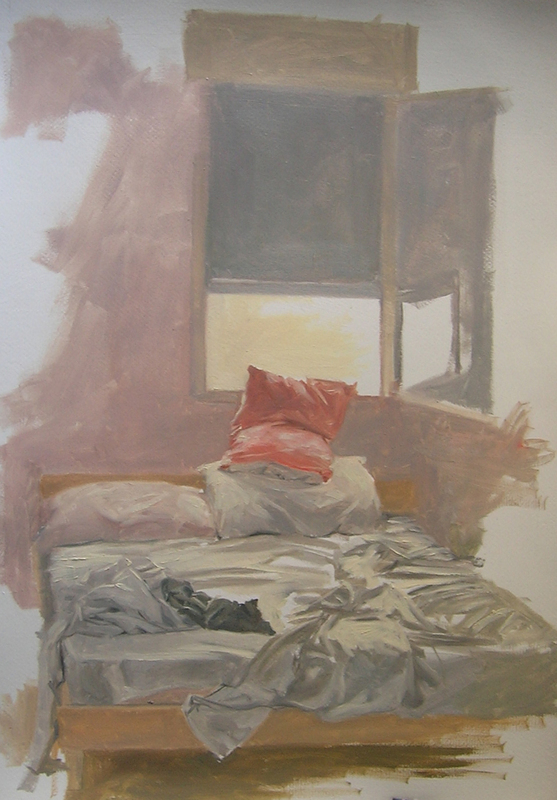 I have started a few other ones of the bedroom, including the mere beginning of one here. I find that though the setting remains the same, it appears differently to me each time. So much of the cause is the changing light and the composition. This start of the bedroom I actually envision more refined and detailed, yet less colorful and more solemn. The challenge lies in trying to accomplish this even though everything moves every day, and I am very intrigued about how I can face this and capture it in different ways. What an excellent surprise Rebecca! So good to see these new paintings! Have a fun and safe time painting in Italy. I hope to see what you paint. Thanks! Thanks William! I have been busy with others, but not so many of them are really working out…must be the pent-up excitement to see and feel Italy again! I put,by mistake my comment on June!Sorry..